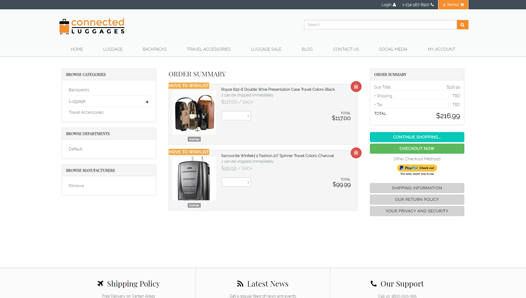 Designing Your Own Responsive eCommerce Webstore Has Never Been Easier! 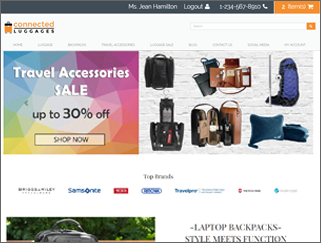 Connected Business eCommerce has been made to require little to no knowledge of HTML/CSS programming to create beautiful and responsive website. 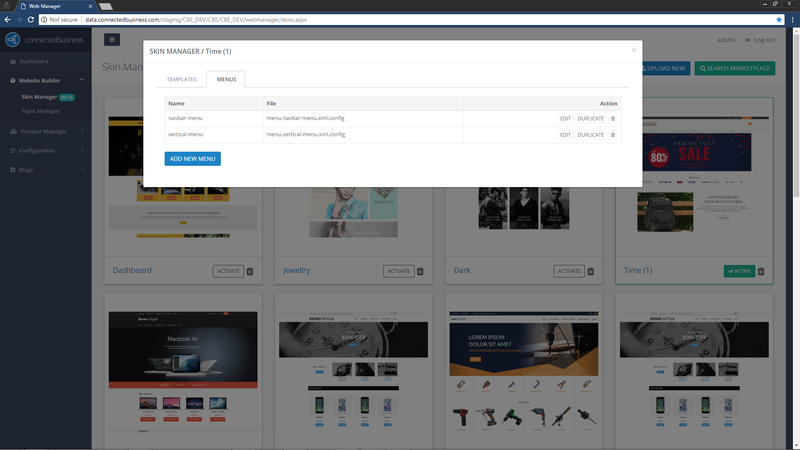 We created Skin Builder and Content Builder within the Admin control of the website for quick and easy modifications of your theme and content. 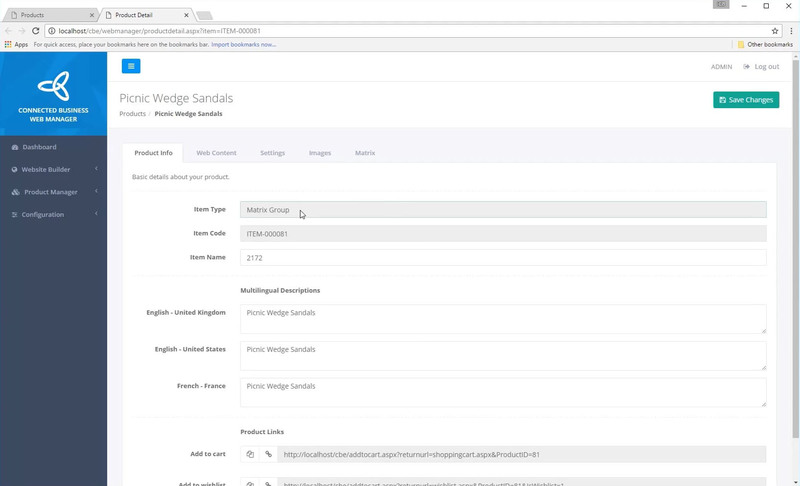 With the NEW Product Management controls added in the Admin section, you may now modify certain details of your online products such as images, descriptions, product names and more. These quick modifications also apply to your Categories. 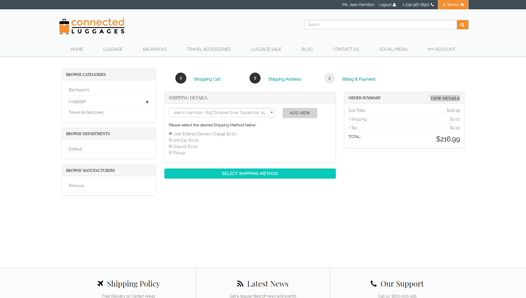 Take advantage of Connected Business eCommerce’s responsive design to attract more customers to your online store and increase your sales especially to modern mobile centric generations of internet shoppers. Template - The part of the page that remains consistent from page to page. 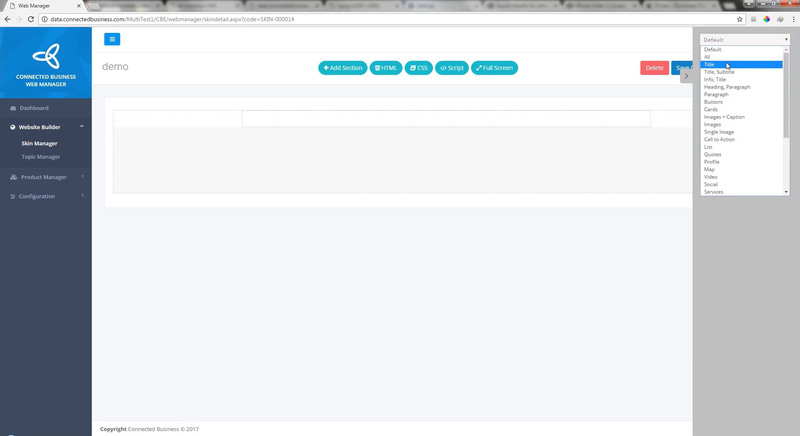 This is the Master Page file (template.ascx) in the skins/Skin_(!SKINID!) folder. Stylesheet - The CSS document that contains the style rules for your website. The CSS stylesheet controls fonts, colors, layouts, and more. Token - A generic term for a small piece of code that renders out some dynamic content. Click here to see different Tokens and how to use them. Topic - A block of HTML content that is stored in the database. Topics can be their own page, or they can be used to render out a block of HTML that can be placed in different places throughout the website. 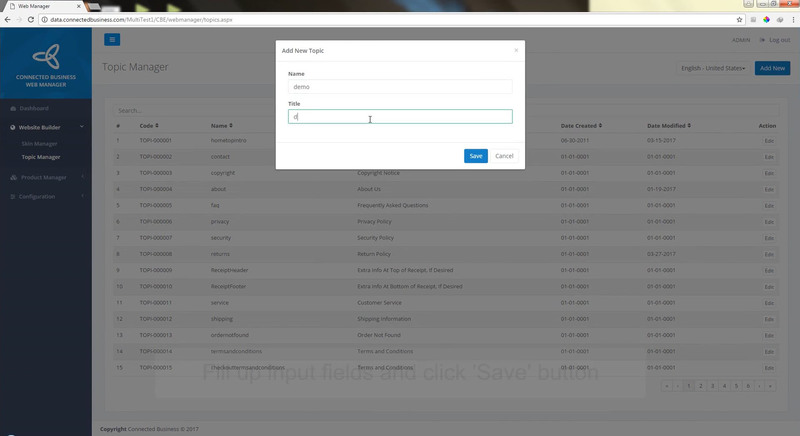 Click here to see how to use the Topic Manager. XMLPackage - XmlPackages render out dynamic blocks of code. Usually they render out HTML, but they can be used for a number of different types of outputs. 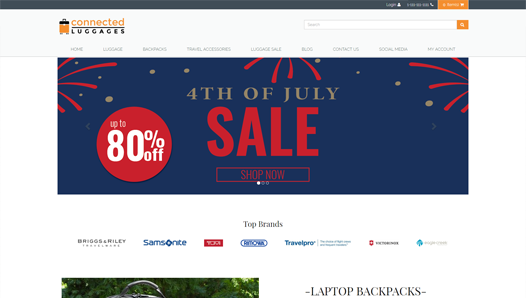 XMLPackages are responsible for the product and category page layouts as well as many other data driven areas throughout the Connected Business eCommerce. XmlPackages are written in xslt. Click here to see different XMLPackages and how to use them. Our Skin Builder comes with a set of built-in blocks. You may drag and drop them into the content area and edit them as you see fit. Edit Code box displays the real-time generated HTML and CSS code for your skin as you make modifications. We have made changing images easier for you. No need to figure our FTP access and file paths - simply double click the image that you want to change, then click upload and save. 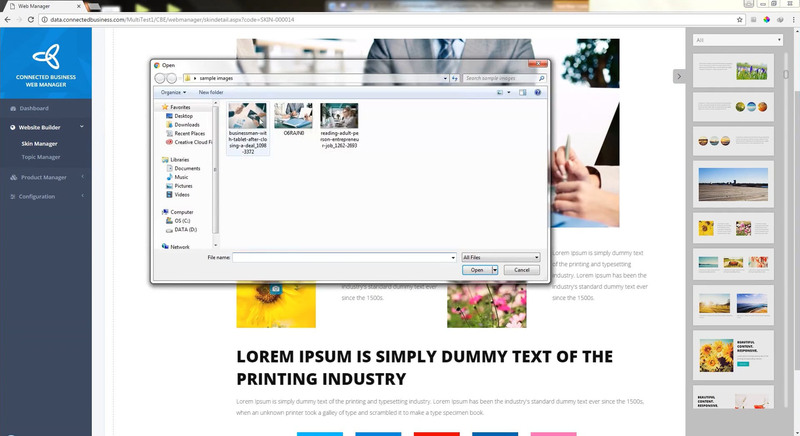 Layer Manager allows you rearrange elements in your content area by dragging them up and down. 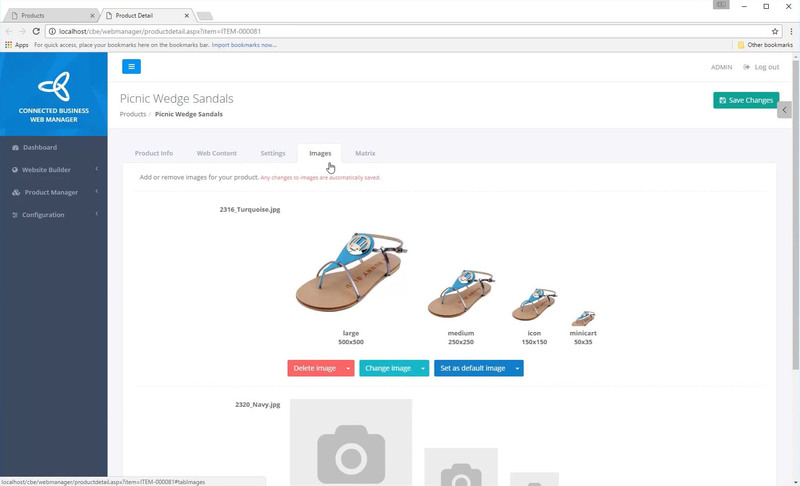 Style Manager allows you to make basic changes to your site. With our Skin Builder, you can build responsive websites in an instant! 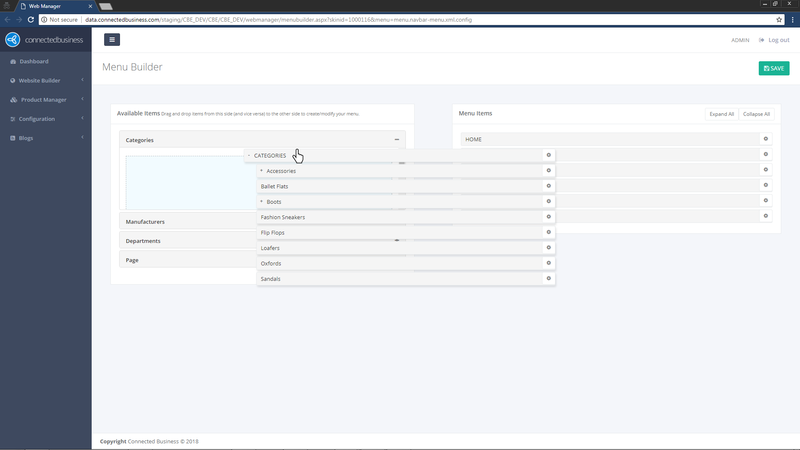 Modifying your menu is now easier with our new Menu Builder. 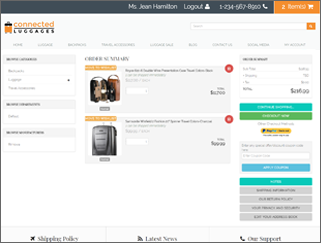 You can change the name and link of your menu items, and specify its target frame. 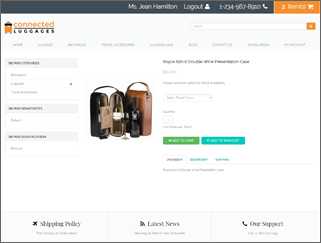 Our new Skin Builder helps you add, edit, duplicate and delete menu without having to edit the HTML codes. 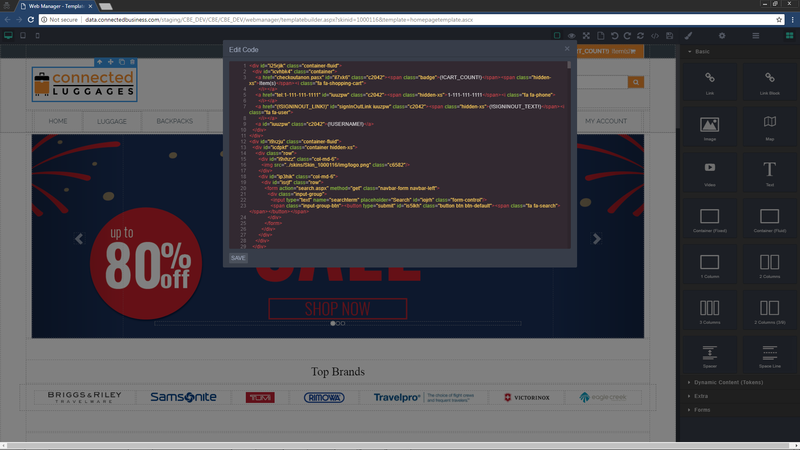 Our Content Builder is loaded with hundreds of pre-defined snippets of responsive web design layouts. You may drag and drop them into the content area and edit them as you see fit. 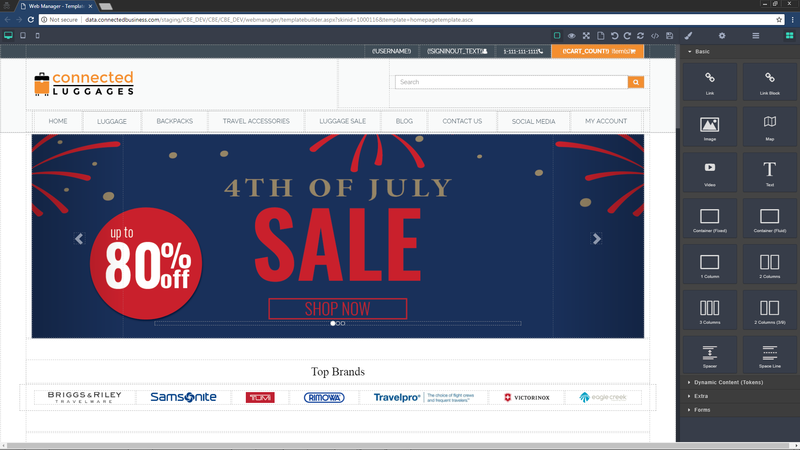 Web pages in Connected Business eCommerce are refered to as 'topics'. You may lookup for an existing topic to make changes to it or create a new one from a duplicate or from scratch. We have made changing images easier for you. 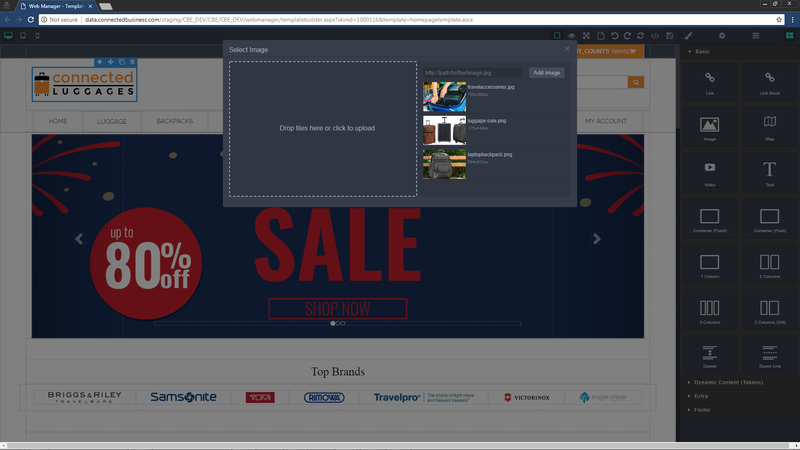 No need to figure our FTP access and file paths - simply click the button to change image, upload the image you want use and save it. 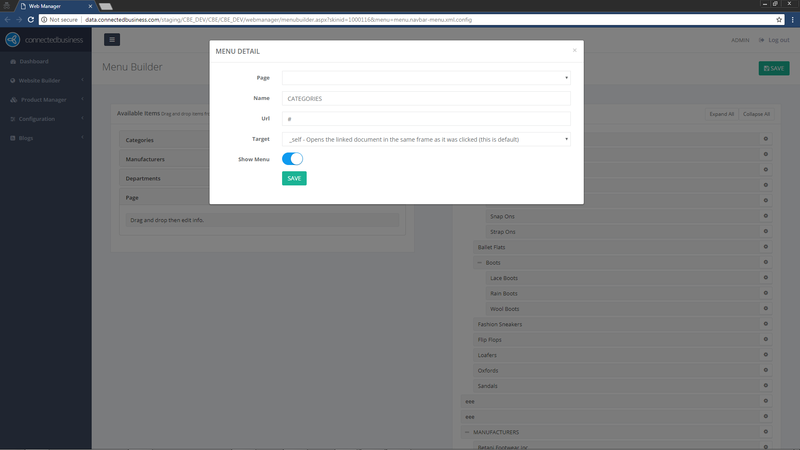 Making buttons and links are so much easier using the Content Builder. 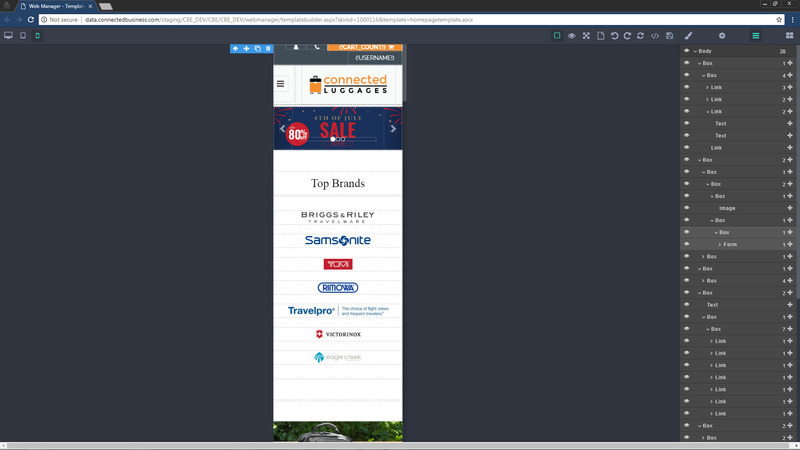 Simply fill in the infos required for a link or button like the URL, image or text value and whether you want the link to show up in the same browser window or some place else. 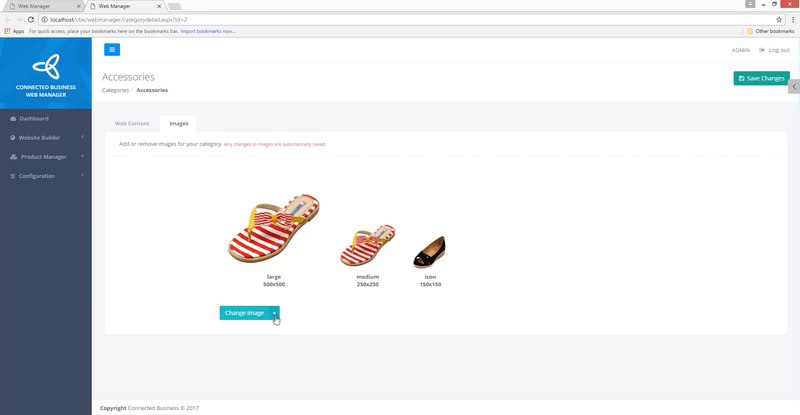 Easily change item images for different sizes and even for different attributes (in case of Matrix items) very easily with our NEW Product Manager. The new and improved Connected Business eCommerce has more admin access. 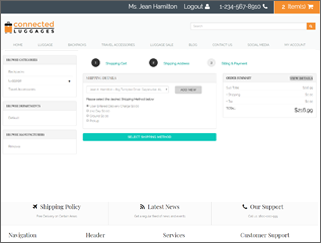 You may now make quick changes to certain information about your products without having to open the desktop application. 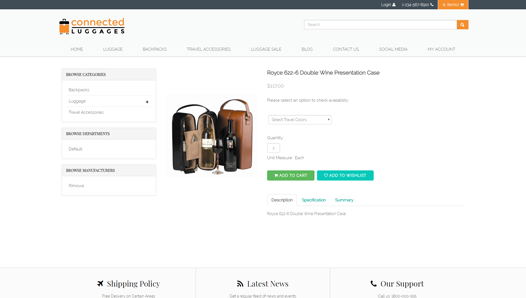 Now adding or editing your product description is made more professional looking and easier at the same time. 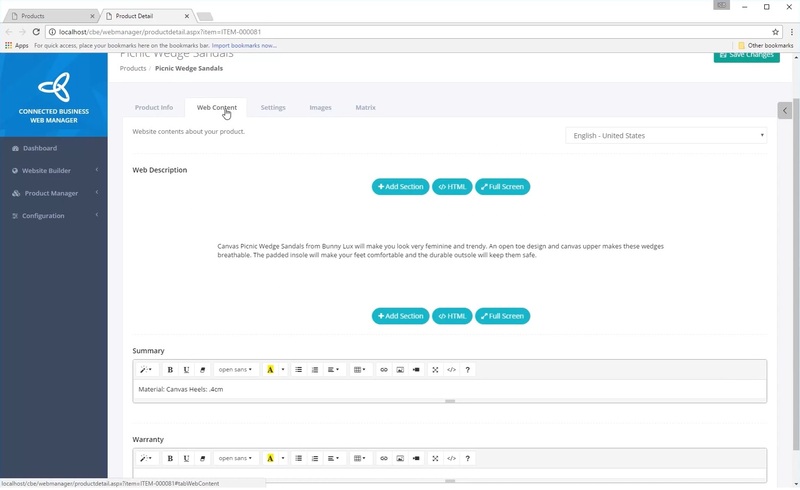 Using the same Content Builder, you may simply add snippets of pre-designed layouts or create your own. 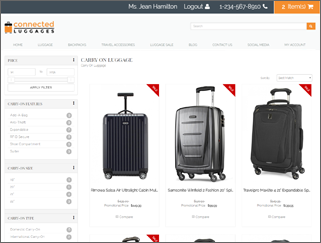 Changing images for Categories are now added to Connected Business eCommerce admin. 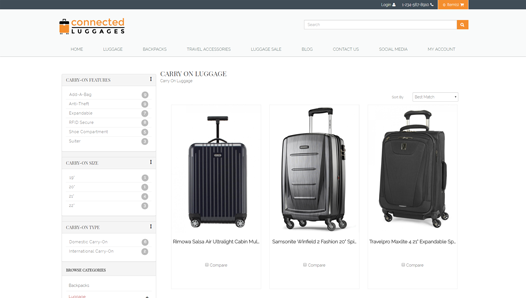 Part of the expansion of Connected Business eCommerce admin is allowing for access to Category information where you can make quick changes to your item categories. 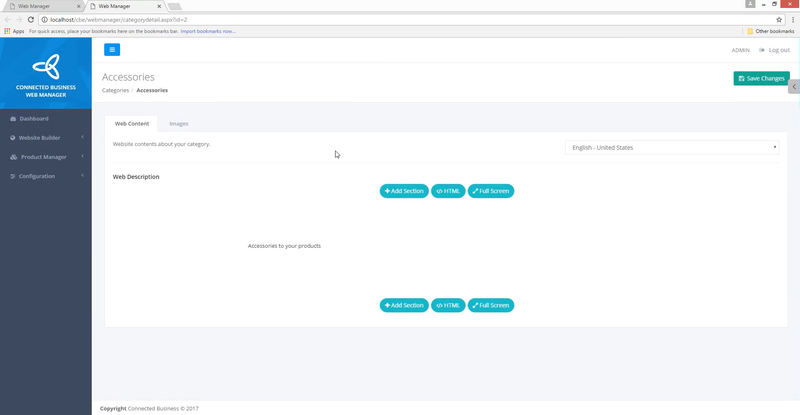 Like in Product Manager, adding or editing your category description is made more professional looking and easier at the same time using the same Content Builder.